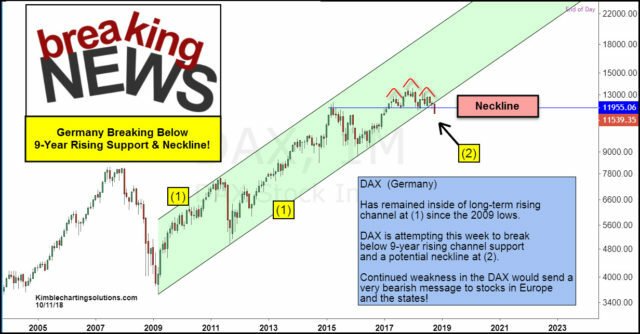 While so many are wondering if the stock market bounce today will hold, they might want to look to Germany for clues to where stocks in the states could be headed in the near future! The action of late has the DAX attempting to break 9-year support and the neckline at (2) this week. Keep a close eye on the DAX in the next couple of weeks because it could be sending an important message to stocks in the states!